I told you my soup-making and bread-baking goals and I shared some soups with you. Now it's time to share the first bread I made with you. It's a little embarrassing. My bread baking skills clearly need some work. Or maybe I need rocks and chains in my oven. No, seriously. That's what this recipe called for. I had this brief thought of running out to the yard and gathering rocks, but then there'd be the trip to Home Depot for chains, and I didn't have time for all that. (Not to mention that I'd also need a Super Soaker -- can't forget that!) I attempted a workaround instead, but based on the results, I think maybe I need those rocks and chains next time. Or maybe I just need some practice... or to not start with a Thomas Keller recipe. Glutton for punishment, that's me. As usually happens, it was a photo that got me: a stunning photo of a vegetable demi-baguette atop vibrant vegetables in the pages of Bouchon Bakery. The image wouldn't go away; the recipe sounded easier than the others (no starters, levains, and so forth). I caved. Just 1 cup of the stock goes into the dough, replacing what would normally be water in other breads. Then the dough gets its first rest (the fermentation stage). This takes an hour. Next comes the shaping. There are step-by-step directions and photos in the book, which were really helpful. (My experience shaping brioche loaves at Flour also helped.) You first divide the dough into three pieces (I used a scale to ensure they'd all be the same size) and then do what's called the long preshape. Once the loaves are shaped, you let them rest for 15 minutes. Then you follow the shaping directions for demi-baguettes. I thought that the shaped loaves were adorably tiny. I had to carefully transfer them to a floured cloth where they rested again, or proofed. I pushed on and baked the loaves anyway. I put them on a hot stone and poured water in a pan I had set in the bottom of the oven -- in hopes of creating the steam that the rocks, chains, and Super Soaker would have provided. The demi-baguettes were not as golden or crusty as I had wanted, but they were soft and fresh and they had this wonderful taste and aroma, similar to that of onion bagels. I sliced one demi-baguette and set it out with cheese, crackers, and some tomatoes and basil for a pre-dinner snack. The vegetable demi-baguettes were an excellent match for the cheese (especially goat cheese) and tomatoes. I used another demi-baguette to make a grilled zucchini sandwich with goat cheese and a little tomato paste, for flavor. And the last one is in the freezer for whenever I need a mini baguette with a veggie punch. Have you ever made baguettes or demi-baguettes? 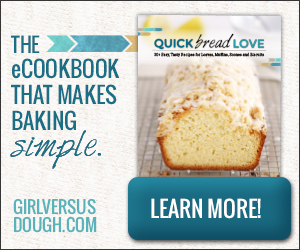 Disclosure: This post contains an Amazon affiliate link to one of my new favorite cookbooks. If you follow the link to purchase the book or make other purchases after you've clicked on the link, I'll earn a few cents.